With the Champions League opener drawing near, it seems only fair to cover the team I glossed over in my main Champions League preview piece. After hours of trawling through many Slovakian websites (some not exactly kosher to my eye) and some Champions League highlights, let me attempt to give Chelsea fans the low-down on their unknown away day to the home of the Slovakian League Champions. 1. MSK Zilina make the group stages for the first time in their history, after dispatching Sparta Prague in impressive fashion, with a 3-0 aggregate win. Admittedly Sparta Prague are in the wilderness after a decade of relevant success. The early 2000’s saw Karel Poborsky lead the side to impressive results and the club itself produced several talented Czech players that left for bigger clubs. Now with only former Reading player Marek Matejovsky and ex-Hammer Tomas Repka being recognisable to English fans in that side, it’s maybe understandable why they lost heavily. But don’t take anything away from Zilina. They won 2-0 away from home, a match which you can see below. Well, the first goal may well be gifted by some comical goalkeeping, but the finish from Gambian striker Momoudou Ceesay (more on him later) is brilliant although aided by two defenders providing adequate blinding. The second is typical of what we may see Zilina doing against Chelsea; set-piece dangers. A terrific result for Zilina who entered the competition in the second qualifying round. 2. A few facts about the club itself. They’ve won 5 domestic titles, all coming in the last 9 years. Their best European run was 40 years ago where they made the quarter final of the now defunct Cup Winners Cup (a competition I miss). They play in yellow and green, so maybe some Norwich fans cheering them on. Zilina itself is in the North West of the country, about 200km from capital city Bratislava. The club is curiously nicknamed Sosoni after the Soshone native American Indian tribe. A bizarre nickname for a club several thousand miles away, although the most likely reason is the tribal nature of the fans. 3. Here is a video of said fans. Passionate is a slight understatement. They’ll certainly drown out the Chelsea away support, even in strong voice. Note the modified We All Dream of a Team of Gary Breens chant. 4. One slight problem as highlighted in this fantastic piece, is that many Slovakian fans aren’t content to pay Champions League prices for a one-off game. With the lowest prices being at around 50 euros, the ultras of the club protested against the hike by leaving their weekend game against Presov at 60 mins, leaving the Stadium Pod Dubnam an empty shell, devoid of much atmosphere. Hopefully, they don’t boycott their biggest game in their history. It will be interesting to see if the 21 year old causes John Terry problems. He has pace and some skill as well, nutured by the youth coaches at Chelsea. Theoretically Chelsea should know what to expect, but this is football isn’t it and wouldn’t it make a fairy-tale story. 6. Zilina retook top spot in the league at the weekend. 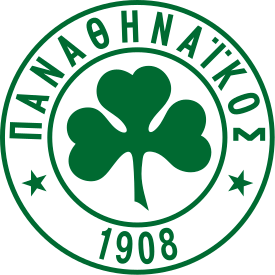 Their league form has been a bit patchy, most probably down to their campaign in Europe, but they have still yet to lose this season (4 wins and 4 draws). Through looking at statistics, it seems as if Zilina like scoring late goals, with 4 coming in the last 10 minutes this season. Other players to watch include battling and industrious captain Robert Jez, who this week said the side are ‘aiming to go down in history‘ on Wednesday. Jozef Piacek is also important at the back having played all 8 games in the league. So there we have it, the rank outsiders of Group F, but certainly they deserve every success amongst the elite of Europe. In more important news, according to Chelsea fans on Twitter, an alcohol ban has been introduced for Wednesday’s game in Zilina, maybe as a pre-caution against hooligans. But of course this is ludicrous. For the latest Slovakian football news, follow britskibelasi on Twitter. A man clearly in the know. Europe’s premier footballing competition once again welcomed the officials of the elite clubs across the continent to the Grimaldi Forum, for what is quickly becoming the most comedic and most drawn out football draw ever . Even I would welcome Jim Rosenthal into the proceedings in an attempt to make it a little bit quicker than Ben Hur. The faux-drama of the event was astounding whilst the Inter players who won the club awards looked uninterested at the format. Meanwhile Gary Lineker was called upon to pick letters, a task he seemed utterly bemused by continually picking out Group C. Conspiracy? No of course not, just coincidence. 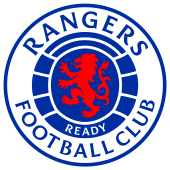 But rather than ramble on about how convoluted and tedious the hour was, I shall discuss the group draw in full, looking at player reunions, the obligatory group of death and of course rate the British clubs chances of progressing. Where better to start than with the holders, Inter. 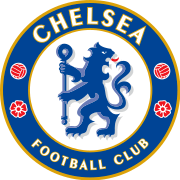 Now Mourinho-less, it will be interesting to see what sort of system Rafa Benitez adopts at the club, and obviously we shall get a glimpse tomorrow evening for the Super Cup Final. My theory is if it ain’t broke , don’t fix it. But as we know Rafa surely won’t be keen on adopting the style of a manager he hasn’t exactly seen eye to eye on key issues, though he has managed to keep the bulk of that winning side. He could well strengthen it if he gains the services of Javier Mascherano, although apparently he has no authority. Like at Liverpool. This isn’t an easy group for them by any stretch of the imagination. Werder Bremen have always promised much over the past few years but ultimately never delivered, and they marginally edged past Sampdoria 5-4on aggregate this week to make the groups. Thomas Schlaaf may have lost World Cup star Mesut Oezil but in the first leg, Aaron Hunt played well in that ‘trecarista’ role. They have a resolute back-four (although they were poor in mid-week) and some great midfielders in Torsten Frings, Marko Marin and Tim Borowski. Not to mention forwards, Hugo Almeida and Claudio Pizarro (nothing like his Chelsea version). They shouldn’t be underestimated. Especially by the next team, Tottenham Hotspur. Harry Redknapp’s first Euro-trip outside of a 2004 booze cruise to Dieppe. Spurs were caught cold by Young Boys in the first leg, citing the pitch but it was mainly down to Redknapp’s insistence on 4-4-2 away from home. If Spurs dare use that formation here, they will be ripped to shreds, especially by Bremen. The lack of Champions League experience could also be problematic, with only Heurelho Gomes and Peter Crouch having games at this level. 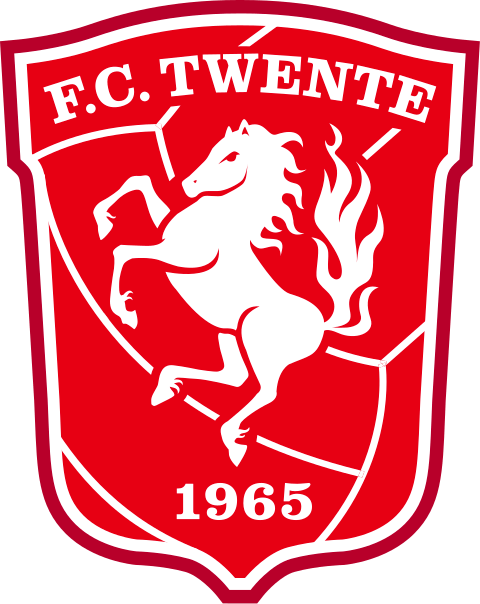 Finally, FC Twente, the Dutch champions (who were in pot 4, whilst runners up Ajax were in pot 3). 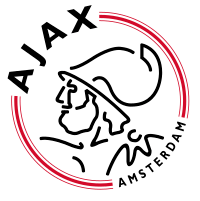 Again, a decent side, but question marks remain over whether new manager Michel Preud’homme, with Champions League experience with Standard Liege last year, can replicate Schteve McClaren’s results at the club. They’ve kept top-scorer Bryan Ruiz, but I don’t seem them making it out of the group unfortunately. Possibly the weakest group of the eight, but certainly one of the toughest to predict position-wise. Olympique Lyonnais now under the tutelage of Claude Puel, will be hard pressed to improve last year’s semi final appearance but so far things look good for the French side. Some great buys this summer particularly in Yoann Gourcuff and Jimmy Briand replacing the deadwood in Sidney Govou plus the emergence of youth talent from the U19 France squad (the only French national side to do well this summer) such as Alexandre Lacazette. Add to that safehands Hugo Lloris and Lyon look as strong, if not better than last year. Benfica in contrast have been raided over the summer. Their best players, winger Angel Di Maria and Ramires both have joined Real and Chelsea respectively in big money moves. What’s behind is a shell of that free-flowing attacking side of last year who lit up the Europa League with style although Nicolas Gaitan is a super replacement, signing from Boca Juniors. I think they may be heading to Europa League once again. Schalke’s big summer signing came in Real Madrid legend Raul, who finally departed from the club after 550 league appearances and becoming their top scorer of all time. Guess he wanted something new. He’ll revitalise this side up front, who finished runners-up in the Bundesliga. Unfortunately for them, they sold Heiko Westermann to Hamburg in the summer, which makes them look a bit weak at the back. But Felix Magath will certainly sort that out. Look out for Ivan Rakitic, who looks a tremendous good midfielder at 22. Israeli champs Hapoel Tel-Aviv make their Champions League debut after beating Red Bull Salzburg in the qualifier and are relatively based on unknown Israeli players (I won’t claim to know them) but do have stand-out keeper Nigeria’s Vincent Enyeama who single-handedly tamed Lionel Messi at the World Cup. Sir Alex Ferguson will be licking his lips at this group. Mark my words. United couldn’t have got a better draw really. Over the summer, United have strengthened slightly with the arrival of Javier Hernandez, the other emerging player from the summer tournament. Other signings include Chris Smalling, who probably isn’t at this level yet, and the man who can’t make a reserve squad. Bebe. Valencia, in serious debt, offloaded their star players David Villa and David Silva. They aren’t as strong as last year but shouldn’t be overlooked in this group. They should still progress though, since Juan Mata and Ever Banega will finally get their chance to shine, you’d hope. Unai Emery is more than capable of producing great things from this side. Sure they aren’t up there with the other Spanish giants, but still a trip to the Mestalla will be tough for United. But not as tough as the Turkish trip, the pot 4 team I personally wanted to avoid. A mid-week game away in Turkey is never an ideal situation, but in contrast Arsenal and Chelsea have it worse. Bursaspor won the Turkish league last year, (in fact the first time they have finished in the top 3) and are a slightly unknown quantity, although United scouts should find that they are a side with a lot of decent Turkish players such as Ozan Ipek, a tricky winger. Their manager Ertuğrul Sağlam however led Besiktas to an 8-0 defeat at Anfield two years ago. Rangers, as Charlie Nicholas rightly said on Sky Sports News, should only realistically look at this as a money-spinner. The squad has effectively been the same for 2 years now, and if last year’s campaign is anything to go by this could go awry for them. James Beattie has joined to bolster the attacking options, but I don’t see Rangers making it far. Just like Sir Alex, Pep Guardiola will be delighted with today’s proceedings. This should be a cake-walk for Barca with lots of goals. Barca look frightening this year with the addition of David Villa up front. If he doesn’t bag 30 goals with the supporting cast behind him, he’s a failure. Bold claim, but it should happen really. Also, the fact that Pedro should be even better than his debut season and it looks a lock that Barca will go far in this competition. In fact, they are my pick, although I made similar claims last year. There’s also that Lionel Messi lad too. 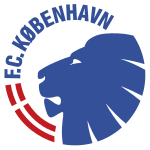 Copenhagen aren’t as good as the side from a few years back, who were in United’s group. But saying that, there are some decent players knocking about particularly young centre-back Mathias Jorgensen who seems destined for a bigger club after scouting from several big clubs. Martin Vingaard is a decent wide midfielder, with a few international caps to his name as well. They also have a few Brazilians, like so many European clubs, such as Cesar Santin who has grabbed 25 goals since his arrival in 2008 and also midfielder Claudemir, signed from Vitessa Arnhem this year, who again looks very good for his age. 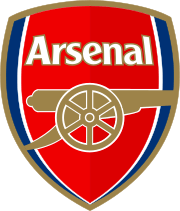 So, after perusing the first 4 groups, I shall return tomorrow to discuss the fates of Arsenal, Chelsea and the scariest group of death I’ve ever seen (weekly hyperbole). I shall leave you with that Rubin Kazan win last year and my new favourite footballer song.